Then there was the unsuccessful double missile launching on an Israeli Arkia Airlines Boeing 757 departing from Mombasa in 2002, which prompted a good bit of discussion at the time about airline anti-missile protection devices. I thought the idea had fizzled but today discovered an Israeli company that claims to be in the testing phase with a workable device. On its way from Amsterdam to Kuala Lumpur on Thursday, Malaysia Flight 17 was flying through the Ukraine on a route considered to be dangerous and closed to air traffic up to an altitude of thirty-two thousand feet, according to Eurocontrol. But MH 17 was headed east at thirty three thousand feet, in airspace not subject to restrictions according to the Malaysian Prime Minister Najib Razak. That an airliner might be shot down six miles above the hostilities does not seem to have been considered a likely possibility but that’s changed now. All the airspace in Eastern Ukraine has been closed. Lufthansa, Virgin Atlantic and KLM are re-routing flights to avoid the entire country. Emirates announced on Twitter the cancellation of its flight to Kiev while it assesses the situation. International airline pilots whose jobs require them to fly over global hot spots are briefed on their options for alternate airports should unrest cause them to divert from their destination. But for the most part, concern about operating across our warring world is not something I often hear expressed when I talk to airline crews. Airplanes have long been a focus of interest for criminals and terrorists and more than a few times, airline crews have been targeted, too. One of the most chilling news photos I’ve ever seen shows Capt. 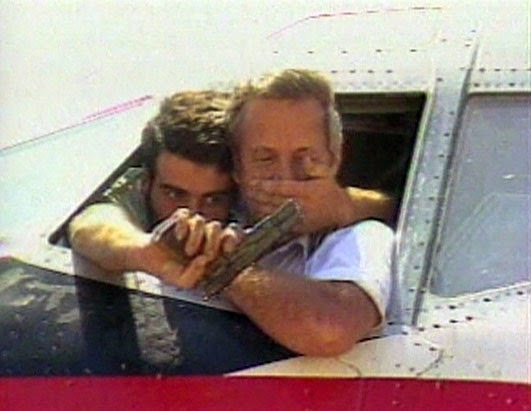 John Testrake a gun to his head, after his TWA airliner was hijacked in 1985 and held for two weeks. Passengers were beaten and some were killed while the crew was forced to fly repeatedly between Beirut and Algeria. 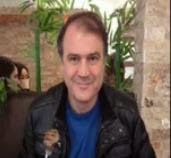 Then there is the kidnapping of Turkish pilots Murat Akpinar and Murat Agca, from their crew van after arrival in Beirut on August 9 of last year. The men were held for months before being released. I worried then that this could trigger a domino effect. In some destinations, flight crews arrive and are transported under heavy security, sequestered in their hotels like hostages. How long before there is an impact on their willingness to work certain routes, I wonder. It’s a world full of conflict out there; Israel and Palestine, Russia and the Ukraine, China and Japan, Iraq and Syria. Malaysia Flight 17’s 295 passengers and crew are not the first - just the latest victims and they are proof that commercial aviation does not fly above the fray. perhaps this should come as no surprise, given the history you so adeptly narrate, but when innocent lives are lost in any act of violence, the shock and dismay should never diminish. The insurgency is supported by Russia, with arms, equipment, men, etc. that make Russia a party to the conflict. As such, President Putin is responsible even if indirectly. Whether Russia supplied the specific SAM system or missile is beside the point. Never fear, your friends at Ribbeck Law are already on the job! The nonsensical clearance for flight in airspace above FL320 was absurd. If a ground-launched missile can reach 32k', it can reach 33k'. The appropriate response would be for airlines to discontinue flights into and over war zones, especially those in which non-governmental rebels acknowledge no limitations. See http://www.csmonitor.com/World/Europe/2014/0717/Web-evidence-points-to-pro-Russia-rebels-in-downing-of-MH17-video for detailed expose of Ukrainian rebel leader bragging of the shootdown, thinking it was a Ukrainian transport. Do you know the answer to this question, Christine? If a foreign airline, such as Malaysia, carries passengers on a code share flight number from an US carrier, such as American Airlines, is the foreign carrier subject to all the FAA's rules? For example, if the FAA had banned flights over the eastern Ukraine, would Malaysia have been required to observe that ban?